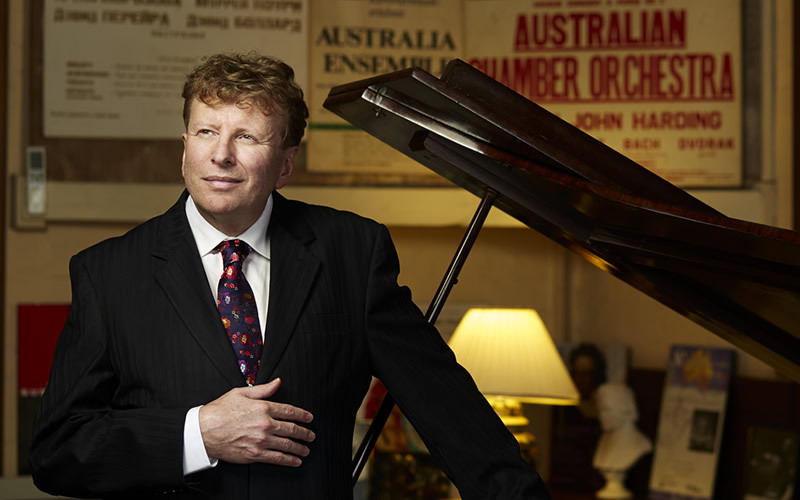 Australian pianist Piers Lane demonstrates his versatility and poetic best in a programme all about connections: Chopin idolised Bach and in turn inspired the Russian composers Tchaikovsky and Stravinsky. Opening with Bach’s Prelude and Fugue in F sharp minor and a selection of Chopin’s best piano works, their probing and moving nature are mirrored in the forms used in Tchaikovsky’s rarely heard Six Pieces On A Single Theme. Stravinsky’s colourful Trois mouvements de Petrouchka brings the recital to a dazzling climax. Lane is equally at home in solo, chamber and concerto repertoire. His concerto repertoire alone exceeds ninety-five works and has led to engagements with many of the world’s great orchestras and conductors, including five performances at the BBC Proms.